A turnaround at Sonatrach's 175,000 barrels a day Augusta refinery should begin in April. Citing a source close to the company, S&P Global Platts said that the upgrading and maintenance work would take three-and-a-half months with all parts of the refinery placed offline intermittently. 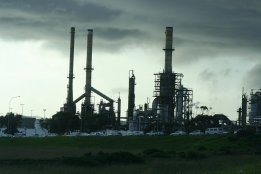 The works will cover the whole refinery including sulfur recovery units. The works have been scheduled to begin at the start of the year. The sale of Augusta to the Algerian state oil firm by oil major Exxonmobil was completed at the end of 2018. The acquistion will feed refined products for the Algerian domestic market.